Unlike other salons (which prioritize beautification), at Unvarnished, the safety and wellness of our clients comes first. We do not and will never offer “Russian” or “e-file” manicures. This year, the practice of completely eliminating the eponychium (the transparent living tissue along the proximal nail fold that most clients mistakenly refer to as their “cuticle”) with an electric file became very popular. As nail professionals, we (and the physicians we consult with) consider this service (commonly referred to as “Russian” manicuring) to be exceptionally dangerous, particularly for those clients who suffer from diabetes, clotting disorders, and immune impairments. Because many clients may not even have a diagnosis, it is our standard practice at Unvarnished to utilize universal precautions–treating each client as if they are afflicted with a communicable disease and suffering from a compromised immune system. Therefore, we will never intentionally remove living tissue from any client with any tool–ever. We encourage all salon patrons not to have this service performed anywhere. Any time your skin is broken, a pathway for infection is created. 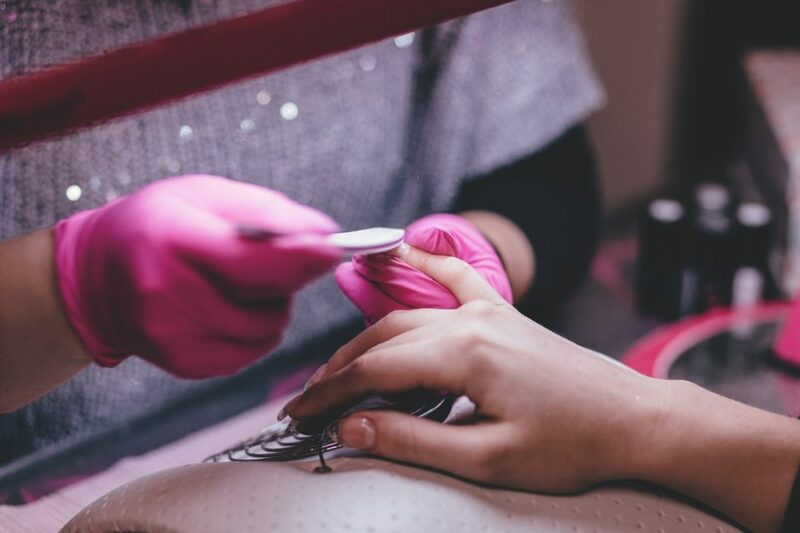 Regardless of which state you live in, nail technicians are not qualified to perform invasive procedures, and “Russian” manicures certainly can be considered invasive. We urge you to prioritize your wellness. Your eponychium is necessary to protect you from infection. If you’d like to know more about managing that tissue so it isn’t obtrusive, rough, or ropey, please call to schedule a consultation with one of our knowledgeable technicians. The Technicians at Unvarnished Hand & Foot Co.